With a passion for advertising, brand development and mass communications, I’ve often said yes to many projects, which provides a wide range of experience and industry knowledge. In its prime Perrier was a staple at Studio 54 and was a favorite of artists, creators and counter culture. In recent years, the brand felt they were losing this cultural relevance and looked to create a new cultural strategy that could inform sales, marketing, partnerships and influencer activation. Through a process of discovery and strategic development, a core opportunity was developed to once again claim Perrier’s rightful place in culture. With a growing footprint in the travel category, Moxy needed to identify a core brand strategy that would unite all properties while bringing to life the experience of staying at a Moxy. The Moxy experience is unique and resonates with a very different millennial traveler who loves unexpected experiences and surprise encounters. A strong strategic platform and communications strategy ensured all properties and communications would support the overarching value proposition and position in the marketplace. 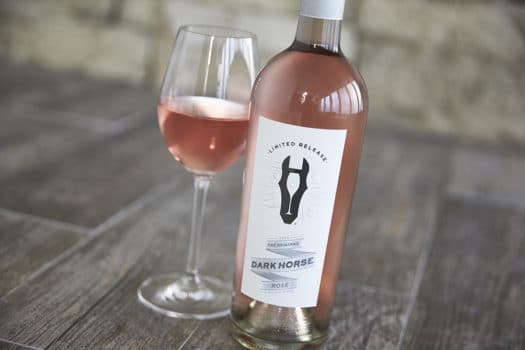 In a crowded and highly fragmented market, Dark Horse needed to stand out, both in it’s brand positioning and in its presence in-store. In order to do this, we needed a strong point of view and driving insight to inspire creativity and communications. In even the greatest triumphs, we see that at some point we have all been underestimated, and that doubt is was propelled us forward to prove everyone wrong. As a brand that also ‘punches above it’s weight’ the name of the brand was the idea for the brand, and in this case, Never Underestimate A Dark Horse.